Use the following list as a guide for some strategic shopping, and you’ll get the most bang for your buck during one of the hottest months of the year. Ice Cream: July has the distinct honor of being National Ice Cream month. This year, National Ice Cream Day falls on Sunday, July 19, 2015. Beat the summer heat by stocking up on sale items at your local grocery store, so you’ll have cheap frozen treats through the end of summer. Also, look for freebies or discounts at ice cream stores in your area. Home Improvement & Furniture: Big box home improvement and furniture stores generally have blowout sales the week of Fourth of July. If you’re looking to upgrade your kitchen appliances or get a more energy-efficient washer or dryer, this may be a good weekend to scope out the sales at Lowe’s, Home Depot, or Sears. Discounts can easily reach the 30% mark, which on a $1,000 appliance is a hefty $300 savings. Be sure to compare ads, since most stores will price match their competitors. Did you know: July tends to be the fourth busiest month for sales in this category. Two of those months that outrank it – November and December – are the two best months for sales in almost every type of spending. Tip: Take your time paying off a big home-improvement project. Use one of these credit cards for home improvement and see if you can get one with a 0% interest rate for a limited period of time. You can save a big chunk of money and make a dent in your to-do list. Paint: While you’re updating your décor and appliances, why not slap a fresh coat of paint on the walls? National chains and specialty paint stores alike will try to motivate you to beat the summer heat and buy some paint. While some of these deals may be specific to the week of the Fourth of July, other offers will last longer. The best deal depends on your paint needs – some stores will give you $5 off a gallon of certain brands (equal to a 15-25% discount), while others will give you a percentage off your total purchase. Engagement Rings: The June rush of weddings has subsided, and jewelers are on the hunt for shoppers. If walking down the aisle is in your future, then summer is the time to get a deal on rings, with potential savings of up to 40%. Tip: This discount applies to all jewelry — even if you’re just looking for a thoughtful gift for yourself or someone else, head to your local jeweler to save big. Swimwear: Summer isn’t over yet, but it may as well be for retail stores. 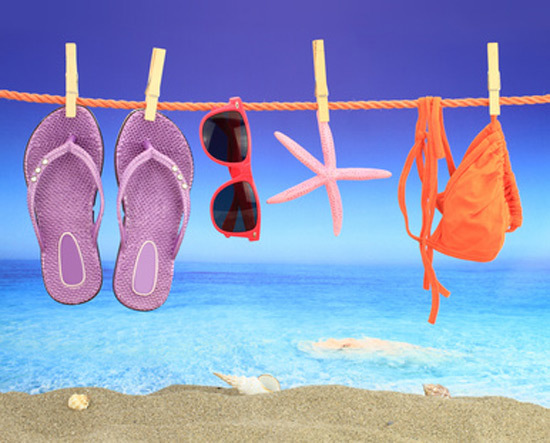 Take advantage of July’s clearance racks and stock up on swimsuits, flip flops, and warm-weather clothes. Even if you already went on your beach vacation, buy the next size up for your kids to wear next year. Look for discounts in the 40-70% range. Did you know: July is traditionally one of the slower months for clothing and apparel sales, so stores will be slashing prices to encourage reluctant buyers. Jeans: Before heading to the pool, check out the discounts on denim this month. You probably won’t want to wear your jeans for another month or two, but if you stock up now, you’ll see a ton of savings. Promotions range from 40% discounts to buy-one-get-one free. Mattresses: Independence Day offers a variety of discounts, perhaps one of the most significant being mattresses. Whether you head to a mattress specialty store or a major department store, expect to see savings in the range of 40% to 60%. Hotel credit cards: Heading on vacation in August? Consider applying for a hotel credit card now to help you save money on the price of renting a room. These cards let you accumulate points on most types of spending, and then you can redeem them for free hotel stays. As a new cardholder, you could get a bonus up front that makes earning points happen quicker. Road Trip Vacation: Gas prices appear to have peaked for the year in May at an average of $2.72 a gallon, as analysts expect prices to steadily decrease the rest of 2015. They estimate an average of $2.43 a gallon, so if you’ve always considered doing a family road trip, this is the summer to do it. Check out more of our money-saving road trip tips. School Supplies: It may be tempting to get ahead of the game and check off your kids’ school supply lists, but you’ll likely be paying full price for these purchases throughout July. With just a little patience, you’ll find the best time to buy school supplies is still mid to late August, when stores are competing for the same consumer dollars. Laptops: Hold off on buying a laptop. July can be a good time for purchasing a desktop computer since manufacturers want to offload old models to make way for new ones, but laptops are treated like back-to-school supplies. It's best to wait until August or the fall when competition between laptop manufacturers can be fierce – resulting in steep discounts for you. 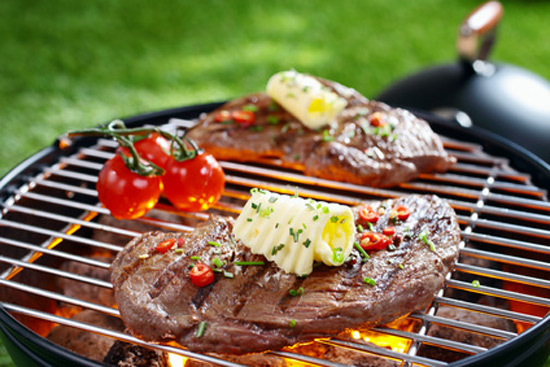 Patio Furniture and Grills: If you’re not picky, wait just one more month to get a deal on patio furniture or a grill. While retailers will start discounting these items around the Fourth of July, as they get anxious about making space for next season’s merchandise, the deeper price breaks don’t come until later in the summer. Just think about how great your new setup will be next year. If you can’t wait that long, definitely get out to take advantage of the Fourth of July sales - retailers will discount select sets by as much as 60% for the holiday sales event. Televisions: Summer is notorious for a dearth of savings on televisions. Black Friday is always your best bet for finding a great deal, but if you can’t wait until then, at least try and wait until late August when retailers know you’ll be gearing up for the football season and new TV shows on prime time. July is when the lazy days of summer really start to set in — but you can't afford to slack off on your finances. The decisions you make now can benefit you long after the seasons change. Share on Facebook "What's Hot to Buy, What's Not in July"